​If this was going to happen, it was ONLY going to happen to the second-most pathetic team in the history of football: the New York Jets. And that's how it went down. The Cleveland Browns got their first win since December of 2016 over the Jets on Thursday Night Football, which snapped a 19-game winless streak. Break open the Bud Light fridges. It's time to celebrate. Baker Mayfield is here to stay. Let's see what Twitter had to say about it all. Speaking of 635 days, time to DRINK! This is truly one for the ages. A drought like this in the NFL has never been seen before. 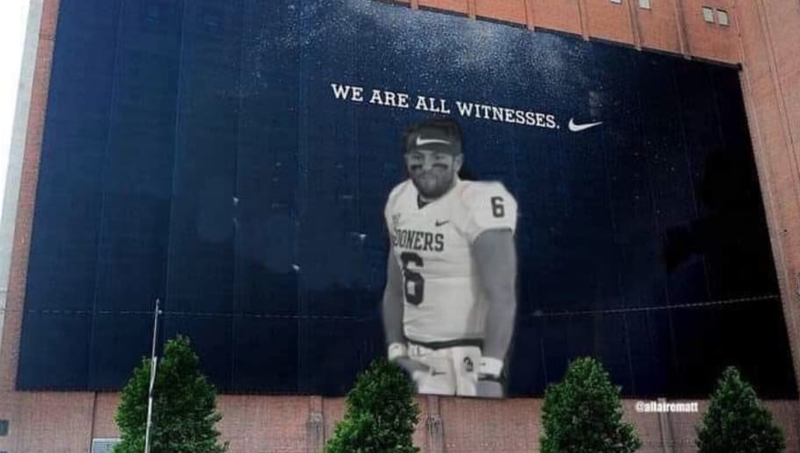 So, that means Baker has to be a Hall of Famer, right? Cleveland, we know who needs to be on the new banner! Oh my, are we forgetting Mayfield's opponent? The second top QB taken in the 2918 NFL Draft, Sam Darnold, couldn't have been less of a story tonight. He enjoyed his opening night glory, and that's been it. Now, he's the subject of Titanic music. The Cleveland Browns win a game for the first time in 635 days. Can't lose to the Browns, man! But seriously, what does this team do now? Winning seems so foreign, they might start trends we've never seen before. Maybe some new gear? No, seriously, this is going to be hard. We need a quick recap to refresh our memory. Enjoy it, Cleveland. You've waited long enough and this one was well-deserved.